New research from Belgium has recently found that government policies can restrict the number of egg transfers during an in vitro fertilization cycle and increase the number of cycles allowed without having to worry about a negative impact on the overall delivery rates. In fact, the new study found that doing so would only prove to benefit mothers, babies, health care providers, health insurance companies and government-funded health insurance programs. Experts have been recommending that only one or two eggs be transferred during in vitro fertilization for some time now. This is because multiple egg transfers increases the chances of delivering high order multiple babies. This can have a negative impact on the mother and babies. It also has a negative impact on health care professionals and health insurance companies (government-funded or otherwise) because of the increased labor and costs of caring for often premature, high risk infants. But by only transferring only one or two embryos, mothers would only give birth to one or two infants (except in rare cases, like embryo splitting). The risk to mother and baby are much lower, as are the costs of care. Some have been a bit hesitant to implement restrictions on the number of embryos transferred, partly because they are concerned about lower success rates for mothers, but also because they are concerned that fewer embryos would mean more treatments, which could have negatively impacted the costs for government health insurance. However, the recent study, published in Europe’s leading reproductive medicine journal, Human Reproduction, has found exactly the opposite to be true. Though there have been other studies on the effect of pregnancy and delivery rates of single-embryo transfer policies (particularly in Sweden), this is the first to calculate the cumulative delivery rate for six full cycles. Researchers investigated the delivery rates for three years before and after Belgium a policy that restricted the number of embryos that could be transferred in a single IVF cycle. Before the policy, which was implemented in 2003, a maximum of two or three embryos were transferred. After the legislation, the policy would pay for six treatments of IVF, but only if the number of embryos transferred were relative to the women’s age. For women under the age of 36, only one embryo would be transferred during the first cycle, regardless of embryo quality. 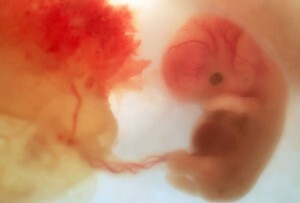 In the second cycle, one embryo would be transferred, but two could be transferred if both were of poor quality. In the next four cycles, a maximum of two embryos could be transferred. In patients between 36 and 39, a maximum of two embryos could be transferred in the first two cycles, and a maximum of three could be transferred in the next four cycles. In patients 40 or older, no legal implications were made, but generally only two to three embryos were transferred. The study authors looked at a total of 463 patients treated at the Leuven University Fertility Center between July 1, 1999 and June 30, 2002 (prior to the policy) and 795 patients treated at the center between July 1, 2003 and June 30, 2006 (after the policy) and compared their delivery rates. All of the women were younger than 43, and they were followed until after six ART treatments had been completed, until they gave birth, for 36 months, or until they discontinued treatment – whichever came first. Researchers looked at realistic, optimistic and pessimistic scenarios. In the realistic scenario, they included information on the quality of embryos transferred. This gave them a more accurate prognosis for the patients. Overall, researchers found that the policy did not have a significant impact on the probability of a woman giving birth to a healthy baby (or twins) or the cumulative delivery rate (CDR) over the course of treatment, the researchers found. In fact, the CDR remained relatively steady – 60.8% after the policy was implemented and 65.6% prior to the policy. However, multiple birth rates were halved as a result of the new legislation – twin delivery rates dropped from 24% to 12%. However, the CDR for the first two cycles was lower after 2003 than before 2003. What’s more, Peeraer and her colleagues say that the benefits of using the Belgina model can extend further than just in countries where ART is paid for by the government; even countries like the United States, where patients must pay for their own treatments, can reap benefits from this ART plan. In fact, the researchers are so confident in their statement that they’re going to do additional research to prove their theory. “In countries without ART reimbursement, the Belgian model with restricted embryo transfer policy can be used to achieve at least a 50% reduction in MPR [multiple pregnancy rates] and associated public health costs, with no negative impact on the CDR per patient, quite relevant to patients who have to pay ART treatments themselves. The substantial amount of money saved by this policy can be used ideally to improve patient access to ART by selective reimbursement,” Peeraer said.